Selfie or self taking picture is currently becoming so popular lately, we heard seldom unexpected accidents happen due to this gesture. We try to avoid that to happen to anyone at all, especially when all they want to do is to capture a nice moment with the scenery, things or people that they are being included in the picture. Honestly, I'm one of them, I love to preserve those treasured moments and I would like to be in it too, that's why I was very happy to find out that there are mono pod created to ensure that I will have a good photograph of myself along with others who wished to be in it. I've only seen this mono pod in my family in the Philippines. One of my Sister in law travels a lot in Asia due to the nature of her work. She ends up taking a picture of herself along with those nice Asian places she visited. The mono pod helps her a lot as she can take photos anytime she wants without asking a stranger to take it from her. Today, I'm lucky enough to try the Monopod for the very first time. 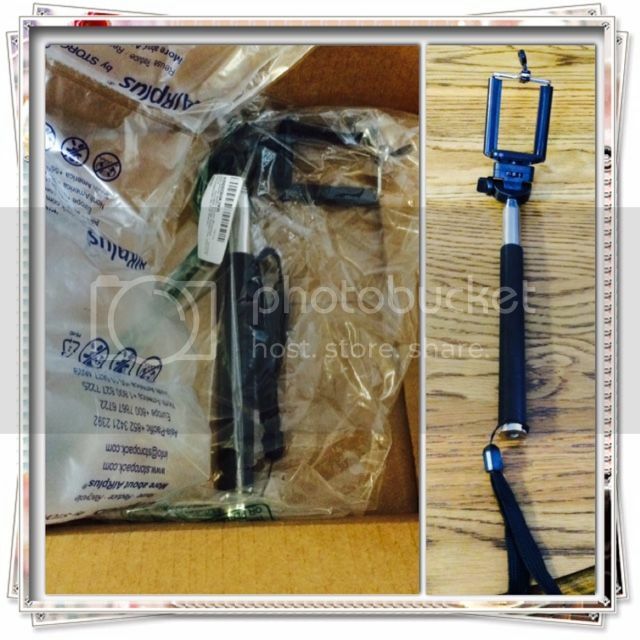 I received the Selfie Monopod from Amazon in the mail, for only $19.99. The packaging is way too bulky for a small and slim product, I would say the product came in the mail safe. It's already attached so it is ready to be used, I don't see any user manual, however I did receive an email from the seller on how to take good care and how the item works. The clamp helps you adjust to the angle you want it to be. And if you do have a problem, which I have encountered, they do have pretty awesome customer service. They will cater your inquiries, predicaments with their products and to make sure that you are satisfied. Honestly, I have experienced that and so far I never felt like neglected at all. To capture a scene without asking for someone's help is no longer a problem. The monopod will do everything for you. It's nice that you can use the product with your phones, and cameras to take those memorable places you've been to. Also a FULLY ADJUSTABLE EXTENSION of 11" - 36". I only wish that there is a wireless Bluetooth installed for this monopod, it could be easier for me to able to take pictures without setting a timer on my iPhone. Another Holiday Gift Guide for those who seeks for a better accessory for someone they know who loves to take selfie. This product could be a nice gift to a family or friends who loves to capture great moments in their lives. Handy, lightweight and affordable too. Simple and no tools needed to use the product.